This type of steroid is the fastest and shortest acting ester. The action intensifies in 24-36 hours, then the action of this steroid starts to decrease, in the blood lasts up 2 to 3 days. 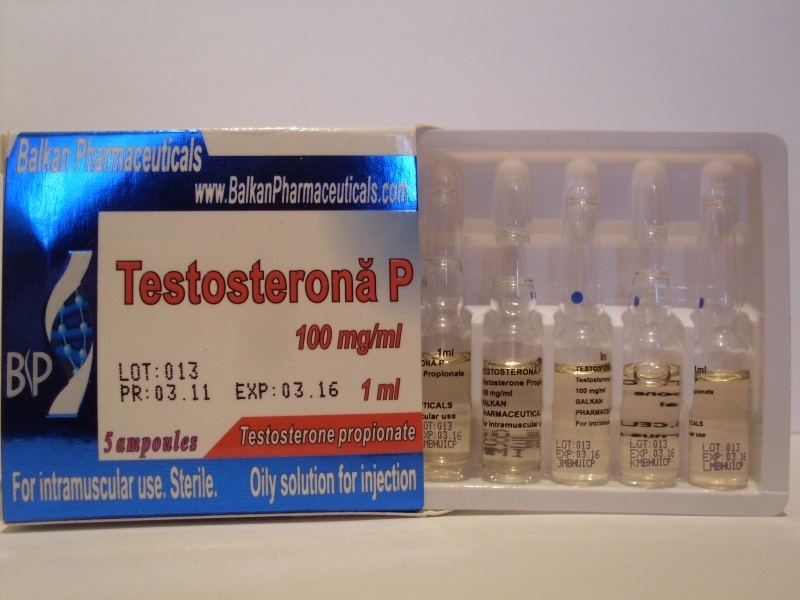 Testosterone P does not hold much water in the body, helps to better pump the muscles, increases energy and appetite. The optimal dose for use in men is 50-100 mg per day. If you want to reduce the number of injections, you may use a dose of 100-200 mg once every 2 days. But the best way is injecting daily and constantly rotate injection sites to reduce pain. Side effects of this steroid are easier to bear than the other steroids, it is emphasizing to those who are more sensitive, and have a slower metabolism. Side effects that may occur are powerful acne, baldness in genetically predisposed people, aggression, can hold water and fat in the body, as well as gynecomastia may occur. Namely gynecomastia and water retention and fat are very rare, often users are bothered by pain intensity caused by injections. 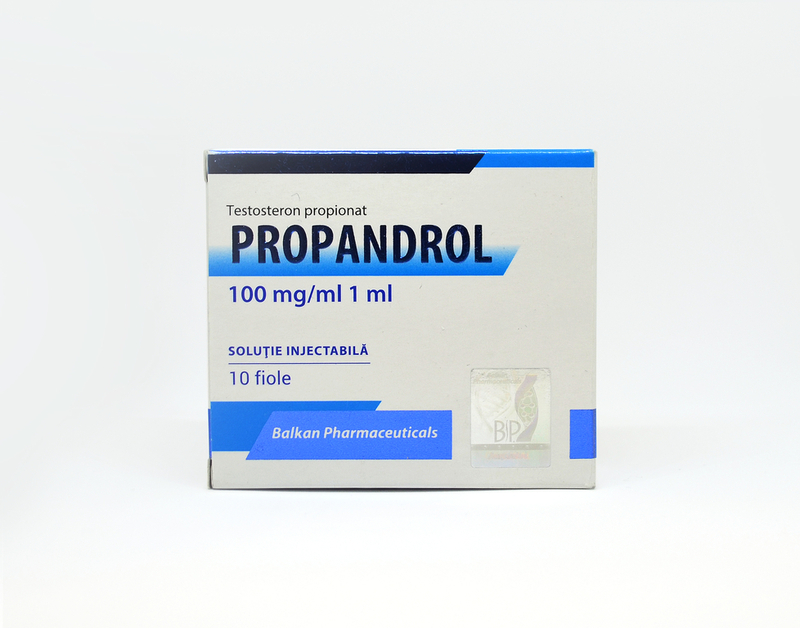 In case you wish to define muscles, this substance can be combined with Primobol, trenbolone, or Strombaject. 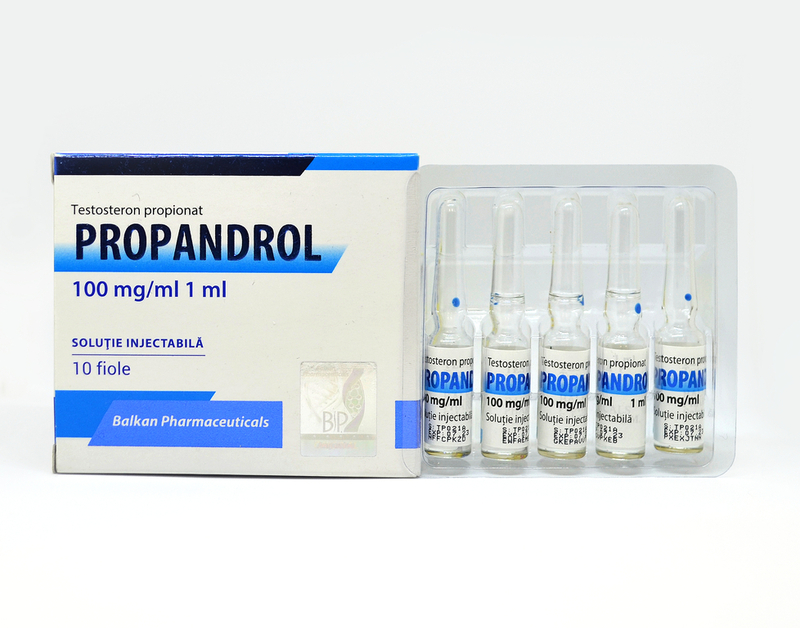 To build muscle mass, it can be combined with Nandrolona D, Danabol, or AQUATEST.